Interviewer:	All right. This is one of the sweetest patients that I’ve ever taken care of. She’s one of my absolute favorites. This is Natalie. Natalie came to me a few months ago with some health concerns. I was going to have her share what she had going on and how she’s doing now. What’s going on with you? 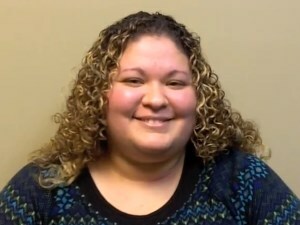 Natalie:	The reason I decided to come to Dr. Parker was because my medical doctors were telling me that I needed to get a full thyroidectomy. That kind of spooked me. My husband and I decided to look for alternative routes because they didn’t want to give me anything else – just that option. So, I came to Dr. Parker. There are so many things you can do to help your thyroid and help your immune system get back into check. Interviewer:	Yeah. When we started with you, remember how sore the nodules were on your neck? Natalie:	Yeah. I couldn’t touch my neck at all. It was terrible. Interviewer:	Yeah. We worked on balancing her immune system out. We worked around some infections and did some things to protect the thyroids. We worked on some sugar regulation. You’ve actually done a really good job with that. You actually came off all of them. Right? Natalie:	Oh, yes. All of my medications were making me feel worse instead of actually making me feel better. I was at 147-points on my blood sugar. Now I’m at 111, but that’s because I had a little bit of a cold. Normally, it’s 96. Natalie:	Only in two-days I was already feeling like I was at the beginning. Interviewer:	You took yourself back off of that, and we put you on supplementation work on blood sugar levels, and you’ve responded really well. You’ve made some great changes. You’ve lost some weight. We’re on track with doing some things. I see your husband over here nodding. What do you think? Male:	She’s doing way better now. We’ve noticed the change. Interviewer:	She’s got a lot more energy now. Interviewer:	You’ve actually had some adrenal problems where you were staying up late at night and sleeping in the daytime. Natalie:	Oh, yeah. I would be up all night long. I would do so many things like drinking tea and all of that. It wouldn’t work. With all of the different things I’ve done here like detoxing and all of that, it’s really helped me change my sleeping patter. At 9:00 o’clock at night, I’m already dozing off. At 9:00, I would still be wide-awake. I wouldn’t go to sleep until 3:00 o’clock in the morning. Interviewer:	Yeah. Your adrenals had a big shift. We did some tests on that and we worked on that. We fixed all of the thyroid issues that were going on, the adrenal fatigue, the sugar regulation, and we worked on some gut infections – just things like that. We’re still going to keep working with you. You’re such a pleasure to take care of. Would you guys mind if I share this with other people? Natalie:	No. You can go ahead and share it. Interviewer:	Perfect. Thank you so much.